Ships today if you order in the next 5 hours 23 minutes. 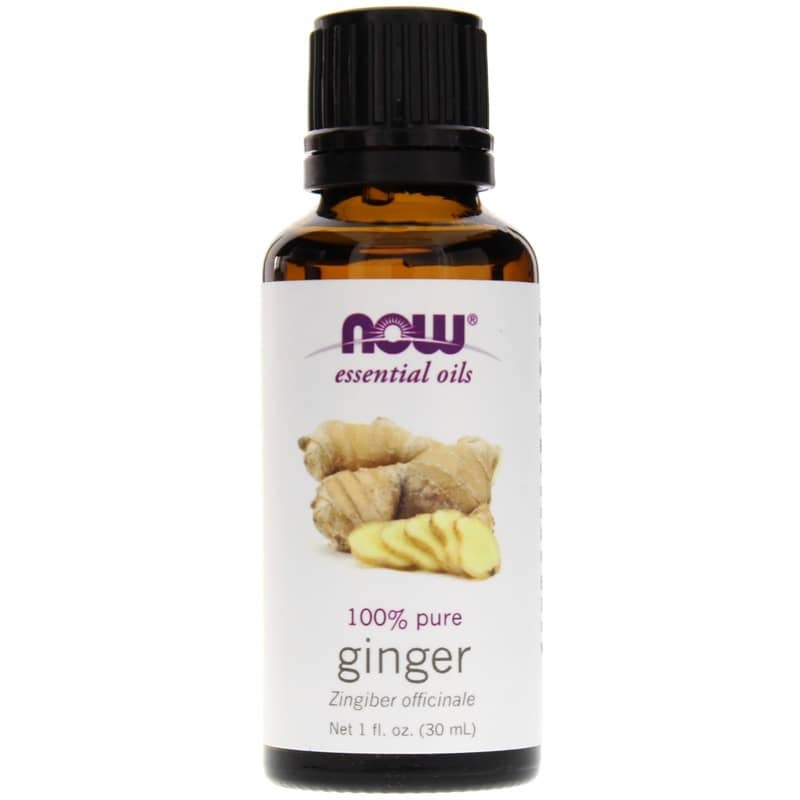 Ginger Oil by NOW is an aromatherapy essential oil with an aroma that is warm and earthy with a spicy-wood tone. 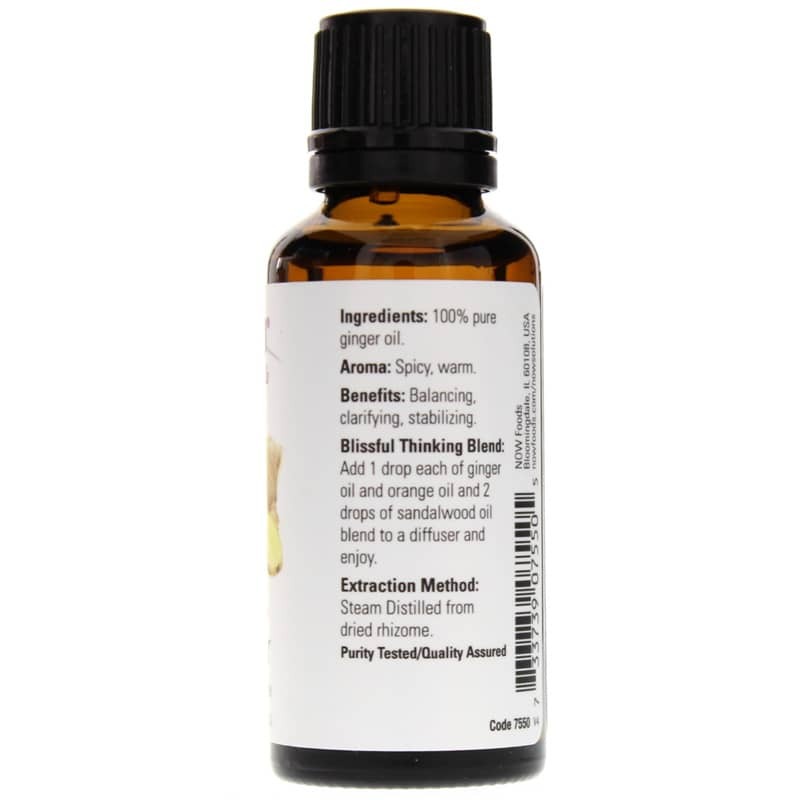 Aromatherapists use ginger oils warming and soothing qualities to combat digestive and joint complaints, mood swings, and to help increase libido. Ginger is renowned for its healing properties and is one of the most highly valued spices in the world. Do not use this product if you are pregnant or nursing. Keep out of reach of children. Not for external use. Reacts strongly to ultraviolet light. Not for internal use if undiluted. Natural essential oils are highly concentrated and should be used with care. Although it is frequently administered to pregnant women to help alleviate morning sickness, it is best to avoid the use of ginger during pregnancy in aromatherapy practices. 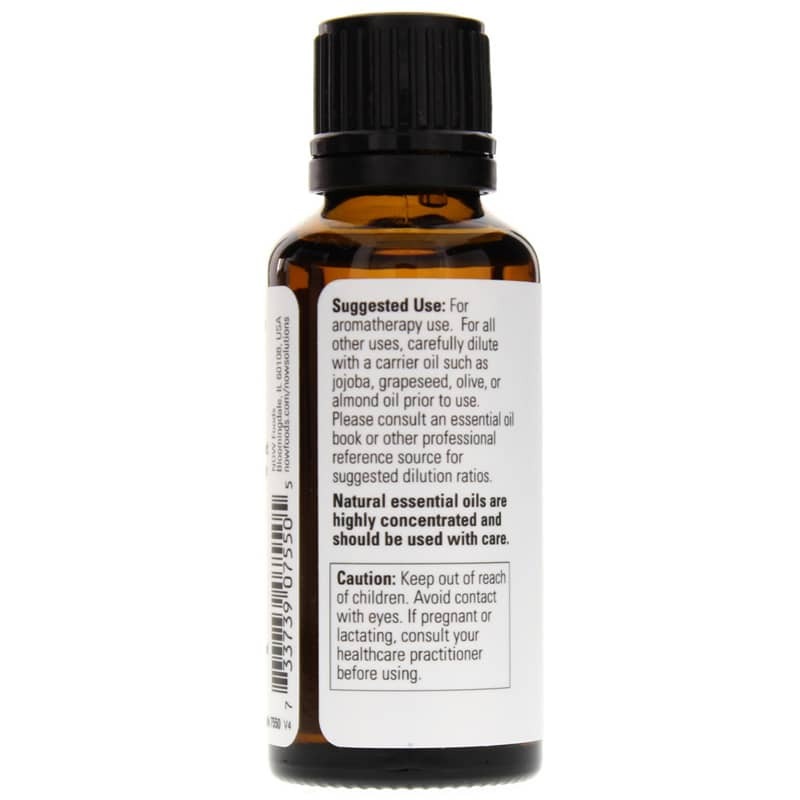 For people with extremely sensitive skin, dilute oil carefully before using in massage or bath.